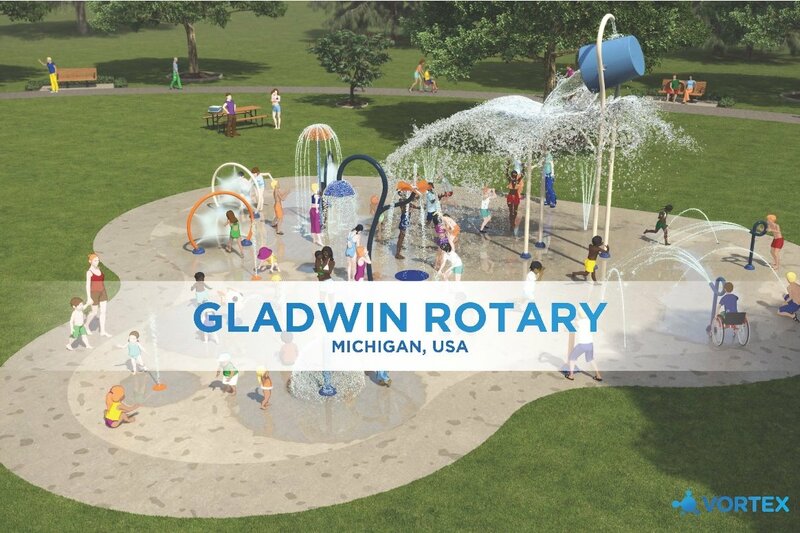 Gladwin Rotary has selected Ross Lake Park in Beaverton, MI to construct a new splash park. In order to have the equipment on order for construction this year, we need to raise $110,000 ($350,000 total budget, which includes signage, benches, landscaping etc.) before May 31st. If we raise the $110K before April 30th, the Splash Park will be ready in early July. If the funds are raised by May 31st, the park will be ready in early August. The remaining $110K will be due before delivery. Please Note: When using the Go Fund Me site for a donation, the site will automatically add a "tip". To remove the tip, select the dropdown where the percentage is listed and select "other". When other is selected, then you can customize the tip to zero. 2. 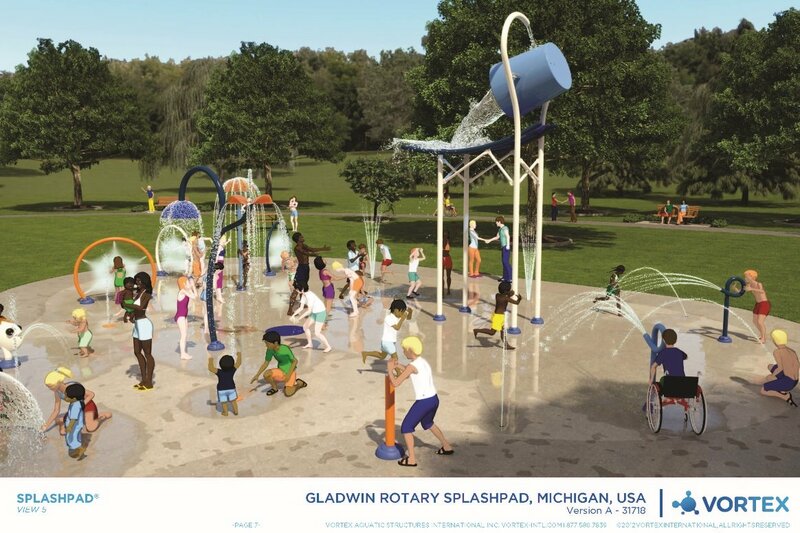 If you are an individual or business who is interested in funding this project by check (Please make check payable to Gladwin Rotary Splash Park) or cash and DO NOT need the donation to be tax deductible, then go to any convenient Chemical Bank and deposit into the City of Beaverton - Gladwin Rotary Splash Park Bank Account. 2. Select "Giving" near the top of the page under the foundation address. 3. Fill out the Gladwin County Community Foundation Online Donation Page. Under "Fund Name", enter Gladwin Rotary Splash Park. DO NOT use the drop down or "select fund from list" option. Continue filling out the rest of the information and process your payment.